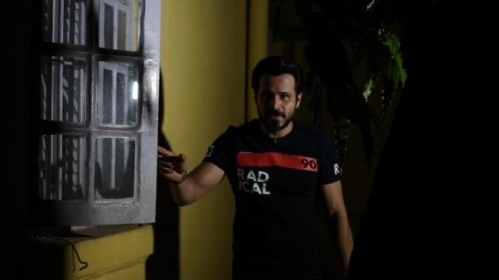 Mumbai, April 17 : After almost three years, Emraan Hashmi has signed horror film "Ezra", which is the Hindi remake of a Malayalam horror film. The actor says the movie will push boundaries, and promises "one hell of a spooky ride". Kumar Mangat Pathak and Abhishek Pathak's Hindi remake of the Prithviraj-starrer horror film is being produced by Panorama Studios. It will be helmed by Jay Krishnan, who has directed the original Malayalam film as well. The film will be shot in Mumbai and Mauritius. The casting for the female lead is underway. "Horror is a genre with immense potential. A well-made horror film will always draw audiences in huge numbers to cinema halls," Emraan said in a statement. "With 'Ezra', we hope to push the boundaries further and give the audience an experience that they will never forget. I'm happy to be associating with Kumarji and Abhishek on this film and with Jay at the helm of things all I can say is be prepared for one hell of a spooky ride." Known for spreading shrills and thrills with "Raaz The Mystery Continues", "Raaz 3 The Third Dimension" and "Ek Thi Daayan", Emraan was last seen in 2016 film "Raaz Reboot". Lately, he was seen in social message driven films "Baadshaho" and "Why Cheat India". Producer Abhishek said "'Ezra' was a success story in Malayalam and a good story is always universal and hence we were convinced that it has the potential to appeal to the pan-India audience as it has a perfect blend of horror, story and emotion. With this remake, we look forward to work with Emraan for our third collaboration after 'Dil Toh Baccha Hai Ji' and the untitled Amitji-Emraan film which is under-production." Krishnan says the film will come with a "fresh approach to the horror genre showcased in Ezra was well received down south and the film was a blockbuster". "I hope to push the envelope further with the backing of Panorama studios and the presence of an actor like Emraan Hashmi," he said.